5000 E. Lew Davis St. 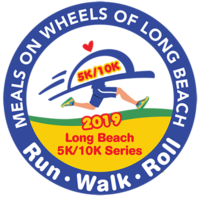 Meals on Wheels of Long Beach (MOWLB) invites all Runners and walkers to join us for our 4th Annual 5k/10K event Co-Sponsored by Long Beach City College Cross Country and Track & Field Department. 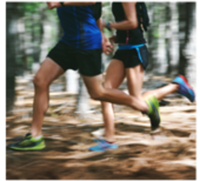 Everyone from the competitive runner to the recreational runner or walker is welcome! On Saturday, July 13th our fundraising event will be held at the Veterans Memorial Stadium, at Long Beach City College Liberal Arts Campus near Carson & Clark Ave. The net proceeds will be used to fund our meal program that provides meals with a “friendly visit” for low-income, homebound disabled neighbors across Long Beach, Signal Hill, and Leisure World in Seal Beach. This year we are doing something NEW! In addition to our 5k/10k please join 3 great Lon gBeach non profit organizations supporing families, children, veterans and the homebound disabled and elderly for the 1st Annual Long Beach Charity 5K/10K Series.Participants who complete all three events will be awarded a commemorative series medal. Please no bicycles or skateboards. If you'd like to sign up as a GROUP please contact us at our main office line (562) 439-5000 or email Amber at mowsas@gmail.com. MOWLB is a nonprofit 501(c)(3) community service organization that has served homebound seniors, veterans and disabled in the Long Beach area for 47 years. The organization receives no government funding and is supported by the generosity of individual donors, private foundations and our business community. Please visit our website @ www.mowlb.org for more information about our services. Parking: FREE PARKING at the south end of the stadium lot.